The Australian Women in Wine Awards took place yesterday with the core event celebrated at Australia House in London together with multiple satellite events across Australia. This year I had the pleasure of being directly involved in hosting a Melbourne event together with Gill Sykes of Wine House. Initiated in 2015 by Jane Thomson, founder of the Fabulous Ladies Wine Society, these awards have shone a much needed spotlight on the conundrum currently facing the wine industry. With approximately equal numbers of graduates from wine institutions around Australia one might expect the Australian wine industry to be a shining example of equality in the workplace. This however is not the case and this is why these awards are so important. When I first interviewed members of the industry in 2015 for an article about the inaugural awards I was surprised to find that support for these awards was not unanimous. I lost count of the number of times I was asked why we needed an awards celebration for women when there is not the equivalent, at least in name, for men. These awards can not be and are not about division, they are a much needed celebration of the small number of women who have remained in the wine industry and who are making significant contributions to their profession. They are enriching the industry with a different perspective, a different sensibility and a relevant voice. This is about celebrating role models and ensuring younger women coming up can see their place within the wine industry. 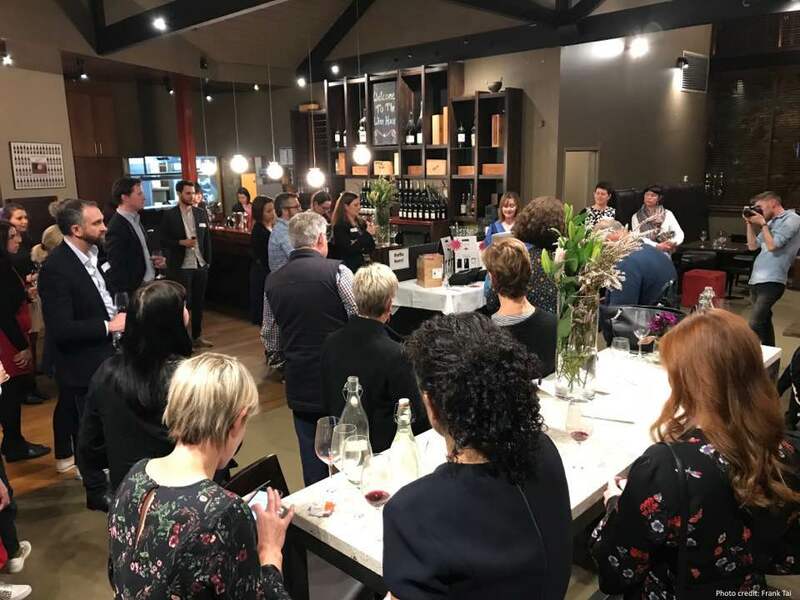 Less controversial perhaps is the understanding that education plays a central role in the advancement of any individual within a specific industry and so further celebration was had at the Melbourne event when two scholarships for WSET courses were awarded. The brainchild of Sarah Andrews and Jenny Polack, this scholarship was founded in 2015 alongside the first AWIWA event in Melbourne and has continued to provide women in the local industry with a very practical response to career progression. In addition to the nine winners of the 2017 Australian Women in Wine Awards there are two women who will further their wines studies in Melbourne and their careers in the wine industry – congratulations to Nicole Wilson from Movida and to Alisha Begbie from Vinified!